One of the most common challenges that event planners or convention organizers encounter is picking the Ace Race Golf Team Building Event for each group that they represent. We always want to organize something new and fresh, and we often want to have a memorable experience that participants talk about for weeks or months. 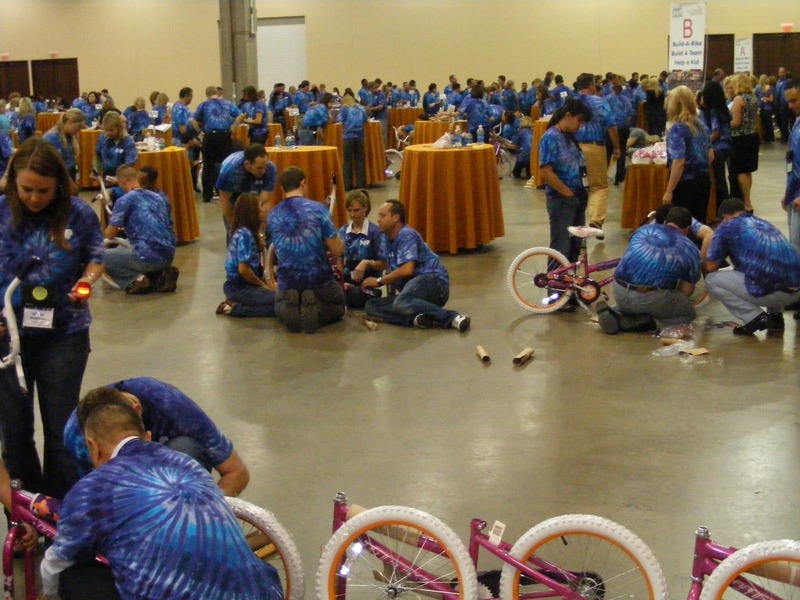 So how to you determine what the absolute best team building event is for your group? Answer these simple questions, and the options will be narrowed down to just the events that will work for your team. 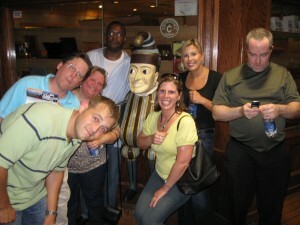 The main aspect of your group that will exclude many team building options is the size of the group. If your group is relatively small, many events just won’t work as well, and if your group is too big, other team events will need to be excluded. The general rule of thumb is that the smaller your group is, the better “behavior change” type team building events work, and the larger the event, the more you will want to look at Ace Race Golf Team Building Event. Small Groups: For smaller groups, team building skills like communication skills, people skills, conflict resolution, and coaching are a fantastic way to create a team culture for your group. If you have 15, 20, or 30 team members, you can create a real esprit de corps among team members, and team building events like this are really cost effective as well. A half-day event can typically be scheduled for as little as $2,500. So teams can generate great results for a smaller fee. Middle Sized Groups: If your group size is between 30 and 50 people, experiential non-charity team building is a better fit. Events like outdoor team scavenger hunts or murder mystery events work extremely well for this sized group. If you are organizing a team scavenger hunt, you can organize the team into eight to 12 small groups on the treasure hunt, and they will have a blast. The murder mystery event can be delivered in a similar way. With less than 10 groups, every team is active and having fun. However, if you only have 10 people and you organize either one of these events, you’ll have a competition between, at most, two groups, so a lot of the fun is drained out of the events. If you have 20 or 30 teams all participating in and event like this, it will be confusing and the small groups will be stepping on each others toes — not what you want in team building. Larger Groups: Once your group gets bigger than 50 people (and even as big as 500 or 5000 people) Charity Team Building Events are a much better choice. The reason why is that a Charity Team Event like a Ace Race Golf Team Building Event or Ace Race is extremely high energy team event where big groups of people can interact simultaneously, and the bigger the event, the bigger the impact. If you have a group of 20 people building bikes for kids, four or six bikes is not all that exciting, but if you have 500 people building bikes, and you donate 100 bikes to the Boys and Girls Club, it is a big deal. The bigger the group, the more necessary it is to conduct charity team building. Choose an event that is appropriate to the venue. Often, if the event is at a tropical resort, event organizers will often hear, “Let’s do something outside,” and since the team building event is one of the few things that can be conducted outside, they decide to conduct the event outside even though it may not be practical. For instance, if you organize a scavenger hunt or treasure hunt at a fabulous resort, it won’t be nearly as fun as one in a downtown area. They may get to see the pool, and the cabanas, and the spa, but they will just see them in passing as the move around the resort. In a downtown area, though, they can uncover the history of the city, identify often-overlooked art masterpieces, and more. Often, when you hear the “Can we do something outside,” comments, that is code for, “We are at a fabulous resort, but we don’t get any time to enjoy the location because we are in stinking meetings all day.” So just give the participants a little more free time, and you’ll get better results. One of our favorite events for resort locations is the Ace Race Golf Team Building Event where we have participants build an entire mini-golf course out of non-perishable food items that later get donated to the local food bank. If you use these guidelines, you’ll pick an awesome team building event for your group!